Hello there, my name is Jakub Pander. I am a game and level designer at Carbon Studio, where we create VR games for nearly every possible platform. Today, I want to share what I’ve learned during my three year-long adventure with Unreal Engine 4. This article will be about optimizing workflow as a designer with the help of keyboard shortcuts and other quality-of-life tricks. 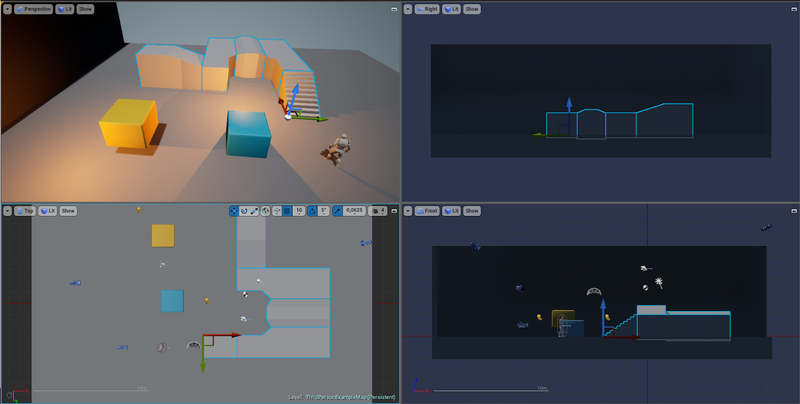 The idea behind writing this piece came when I started to write a follow-up email to my students when they were prototyping their very first levels with Unreal Engine in class. Due to lack of experience, some of them were struggling with basic activities, and would ask questions like, “How do I arrange blocks in a pixel perfect grid,” “Can I move half of the level just a little bit higher,” “Do I really need to copy that make-shift element piece-by-piece,” and more. Since the very beginning of my journey with Unreal, I’ve tried to find any leeway to help me do the most basic tasks more efficiently. In the process of doing so, each useful shortcut or tip went into my virtual notebook, which naturally grew over the months. I divided each category into Basic and Advanced shortcuts. 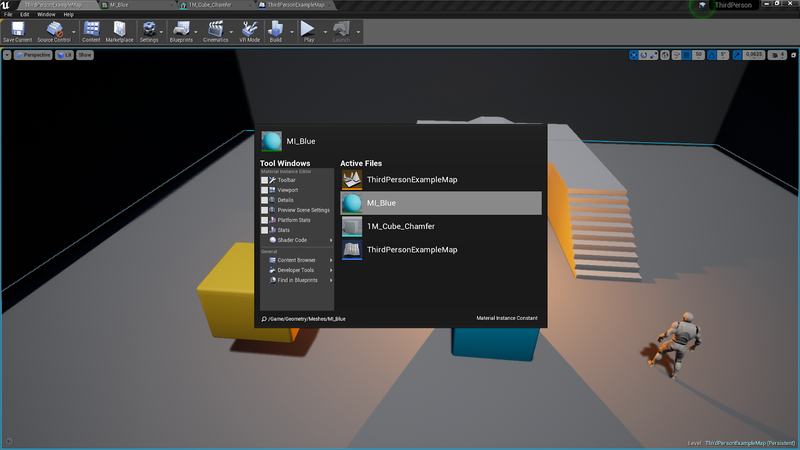 The Basics will be useful for anyone starting with UE4, as well for those who have some experience with it. The Advanced section is directed to those who know what using UE4 is about and want to use it more efficiently. This allows users to organize assets in clusters for future use or to arrange parts of a level. Unlock allows users to move or delete separate assets. Lock combines the whole bunch again. Forgot which level your selected asset lives in? Just press “M” and the engine will set the asset’s level as current. Everyone probably knows this one and it might seem like overkill, except if you first hide the unwanted assets and then press Ctrl + A. This also comes in handy when combined with Select by class. Want to select all the door blueprints and nothing else? Check. Can I select everything with the material “M_SelectMe”? Sure. But I want to select everything other than the door Blueprints! No problem. This becomes helpful in certain cases when you want to select more objects with common elements (being the same Blueprint, using the same material, being everything else, but the desired object). Transforming is the bread and butter of Level Design within UE4; mastering it can speed up your work by 200 percent! Smooth transition from scaling (R), then translation (moving - W) of an object to finally rotating (E) is essential since, as a level designer, you will do it all the time (like every few seconds quite often), so there’s no need to change the transform to anything else than pressing the right shortcuts or space. In this example, I really need to move this object to the left, but not the world’s left, to the objects left. This comes in very handy when the object’s (or everything else) rotation is not relative to the world. This chair really should stand on the floor, right? Well, you don’t need to manually place it in pixel-perfect fashion. Just press End and it’s done (assuming the floor and the chair’s collisions are properly set up). You can find other useful snapping functions under: RMB -> Transform -> Snap/Align. Just keep in mind the proper scale of objects so that they can be properly arranged. Sometimes placing an object can get a bit tricky, even when its pivot is in the correct place, so in such cases, why shouldn’t we put the pivot somewhere else? For example, we could place it right where we just clicked (Alt + middle mouse button) or place it where we want by dragging it with MMB. Moving an object by something as specific as 165 units can be done by entering proper values in the object’s details tab, but what if the object is already rotated in two axis? With the help of World/Local Transformation, we know we can move it in our desired direction, but how do you move it comfortably without needing to change the transform value three times? Create a shortcut that increases and decreases the transform value! Bonus tip: You can change the default values of the transform snap in: Editor Preferences > Level Editor > Viewport > Grid Snapping. Attaching an actor can be useful in several situations, you will probably figure your own application of this, but only after you know such a thing even exists. Just remember that both objects need to have the same Mobility setting (static/moveable). 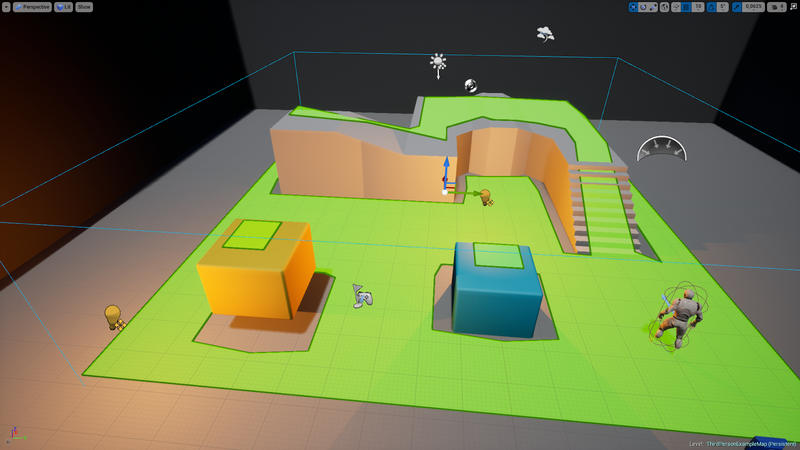 Here I will outline some orientation tricks that will help you while inspecting, editing and showcasing your levels. Found an object within the world outliner, but think it’s so far away it will take more than several seconds to scroll to its position? Press F. If you already had the desired object selected, but somehow end up far away from it, you can press F. Pressing F will focus your viewport on the selected object and immediately move the camera so you can see it in up-close. This is simple. Pressing G hides all the helpful tools within the viewport (grids, pivots, outlines, icons, and more). This is perfect for seeing how a level would look like in-game. You’ve built a fantastic, vast level, moving from the beginning to the end takes more time than anyone wishes to spend. Make this process easier for everyone (including yourself) and place some “checkpoints” in vital areas. For example, Ctrl + 1 can equate to the beginning of the level. 2-8 can be vital points along the way, and finally 9 should be the end. This will make getting around much easier. 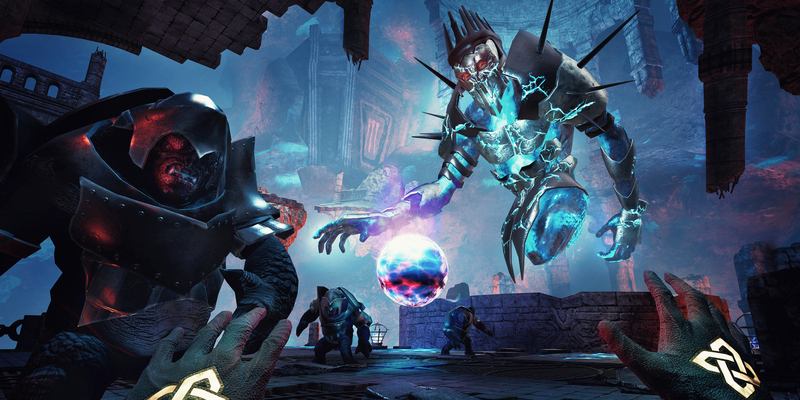 The level will be played, tested, showcased, and inspected in fullscreen with far better results, trust me! Bonus tip: Shift + F11 brings up the editor overlap taskbar. Have you ever found yourself in a situation when you want to click on a mesh in the viewport but you accidentally select something else instead? Or maybe you want to click a particular translucent window, but the cursor selects the object behind it? You might have been tricked by the Translucent Selection! With T, you can toggle the selection of transparent objects on and off. Now you can click through glass, water, god rays, and other translucent objects. This comes in handy in various situations, so it’s a good idea to know that they exist and how to access them. 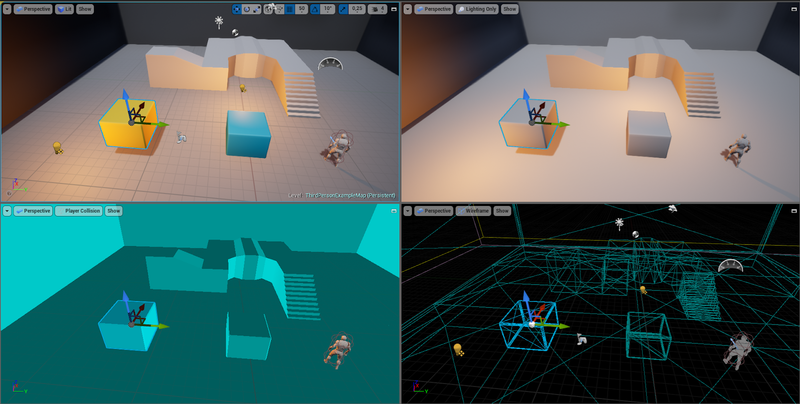 For projects using Unreal’s navigation, this is essential to see if any of the objects on the level could potentially block the path of AI or players. If you need some architectural accuracy while building your levels, these different perspectives may be helpful. I found this tip personally most useful when I wanted to place a camera exactly where I was looking. Snapping the selected object to the camera, changes not only its location, but also the rotation, so the aforementioned camera would be pointing exactly where you were looking at in the viewport. Here are a bunch of shortcuts I found that don’t quite fit the first three categories outlined above, but I wanted to include them here since they’re quite useful. I saw too many colleagues searching for the asset in the Content Browser and then going through the extra trouble of clicking it twice there. You just need to double tap the portrait/icon of the material/mesh/texture, you don’t need to search for it in the Content Browser. Speaking of the Content Browser, this one shortcut will be very helpful in finding the selected asset and its folder. Although this one has no default shortcut combination here, I suggest creating your own within the editor settings. This will allow you to automatically search the asset’s level Blueprint for the selected object and show where it is referenced. Skip clicking that arrow to play or simulate the level (or be able to activate the play function while the arrow is hidden - e.g. fullscreen). I recommend setting your own shortcuts, but I use Alt + Q to Play in VR, Alt + S to Simulate and Alt + P to Play in editor (and NOT just play in Selected Viewport - this would play it in VR if the previous play session was launched in VR). Just like the example above, this makes opening of levels quick and effortless. Check if a specific asset is referenced in or by another Blueprint, level, material, etc. to quickly find any dependencies. In case you have a lot of opened tabs (materials, meshes, Blueprints, etc.) you can cycle through them just like on your desktop, but while using the Ctrl key. I hope you found something new or useful for yourself. Share this post if you liked it or think it might be useful for someone else.